This is a design/mockup of Affiliate Elite Exposed. 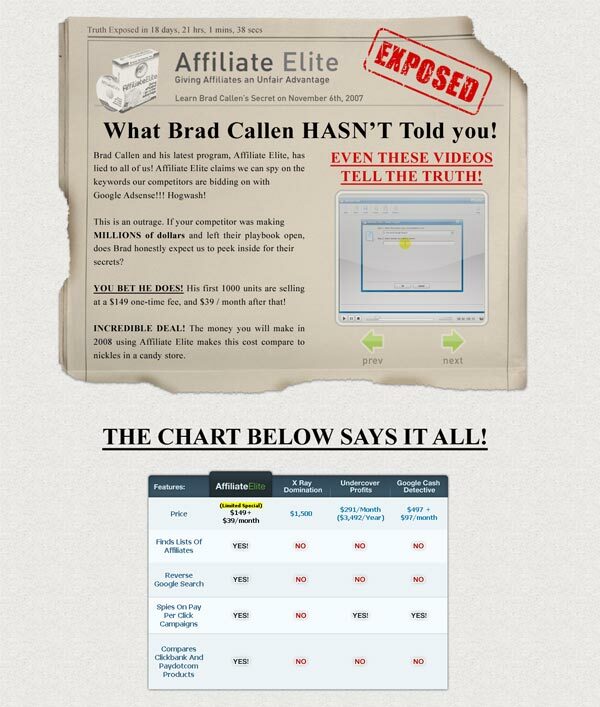 Affiliate Elite Exposed was a project I created after working on Brad Callen's Affiliate Elite. The idea behind the site was to piggy back on the notion of negative-positive marketing, but with a change of mindset that the product is an excellent product.